When I visited Mindy Celeste this summer, I snagged my Icebreaker wool running tights on the pull-out metal frame of the sofa bed. 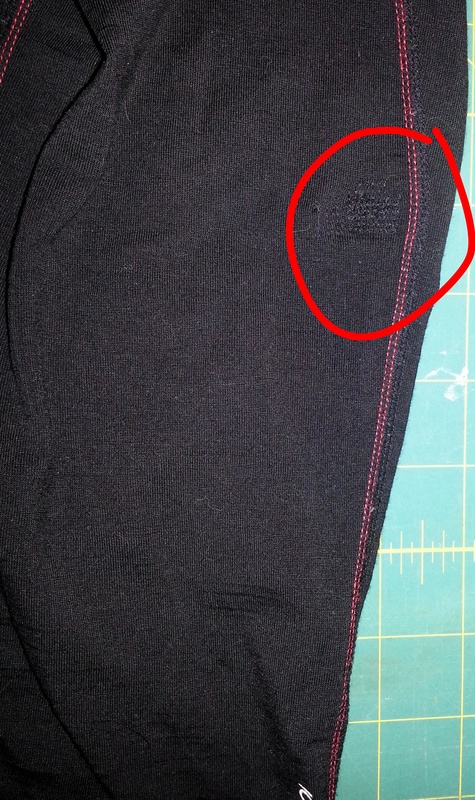 My former way of fixing this would have been to patch it with a scrap of knit fabric. 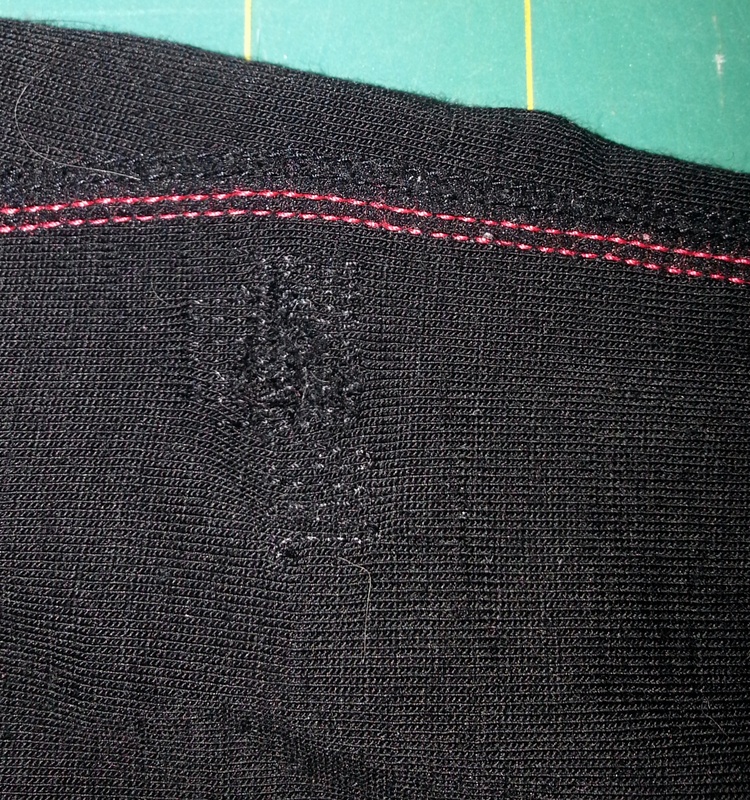 Now that I have a darning foot for my sewing machine, I darned it instead.